Employees, on average, have 10 times more connections on LinkedIn than company pages do. While keeping company social media pages updated is essential, it’s also crucial to the success of a business’ marketing efforts that employees are active on LinkedIn. Employee content sharing on LinkedIn elevates your brand and empowers employees. Consider encouraging employees to share company content on their personal LinkedIn to reap the following benefits. Sharing anything relevant to the company’s field will not only help employees grow their personal networks, but it also builds their reputation as an expert in the company’s industry. Regularly showing up in connections’ feeds will push your employees to the front of their connections’ minds when looking for advice or new opportunities. To build a reputation as an authority figure in the industry, employees can start by sharing relevant content and including their input on the matter. An article they wrote, a post about an award the company won, or a post about an event they attended are all ways to share company content and build a reputation as an authority figure in the industry. Every business benefits from employee content sharing on LinkedIn simply because company content will reach more people. If an employee has 100 connections and shares an article from the business’ website, that’s 100 more times the article has a chance to be seen at no cost to the employee or company. Not only will company executives appreciate the effort to help the company, but sharing industry information will help expand personal networks as well. Content shared by employees receives two times higher engagement rates compared to content shared by company pages. Salespeople are 45 percent more likely to hit their quota when they’re active on LinkedIn because they’re connected to the right people. This is due to the fact that people prefer to interact with other people instead of a company. Take advantage of this information by encouraging employees to share and post about company work to further engage potential customers and clients. Not only does employee engagement on LinkedIn increase the reach of the business, but it also gives employees the opportunity to share content with those who are interested in the company’s services. 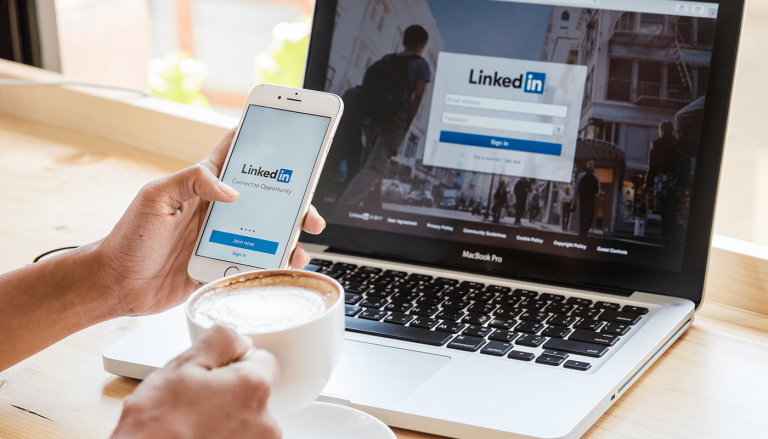 The chances to connect with potential clients increase when employees expand their online presence, specifically on LinkedIn. Creating a brand advocacy program for employees encourages employees to share their experience with the company and within the industry. By tagging the company’s LinkedIn page when posting and sharing their work, employees’ connections will become aware of the company, increasing brand awareness and growing the company page’s following. Sharing company content will not only help employees stay up-to-date with the company, but they will likely learn something in the process. LinkedIn is an excellent tool for growing industry knowledge as well as sharing expertise. Employees can take advantage of these benefits to grow within the field by connecting with other industry professionals and interacting with their posts. By having well-informed employees, companies can stay ahead of competitors by continually evolving with the industry’s updates. Because of LinkedIn’s high domain authority, Google often displays LinkedIn posts in their algorithm when ranking search results. When employees link posts about their work to the company’s website, it helps build the company’s website domain authority organically. This means that if someone is searching for a service the company offers, there’s a higher chance of them finding your company because employees helped to further build the domain authority. Employee content sharing on LinkedIn benefits both the company and employees, so it’s crucial for employees to be active on LinkedIn. If you’re not sure how to get started, talk to a member of the Front Porch Solutions team! Our experts will advise on how to best incorporate social media into your digital marketing strategy to reach your goals. Contact our team today!